There are probably too many beer events and festivals each year, and this makes it difficult to pull the trigger on tickets, for sure, as it can get expensive. 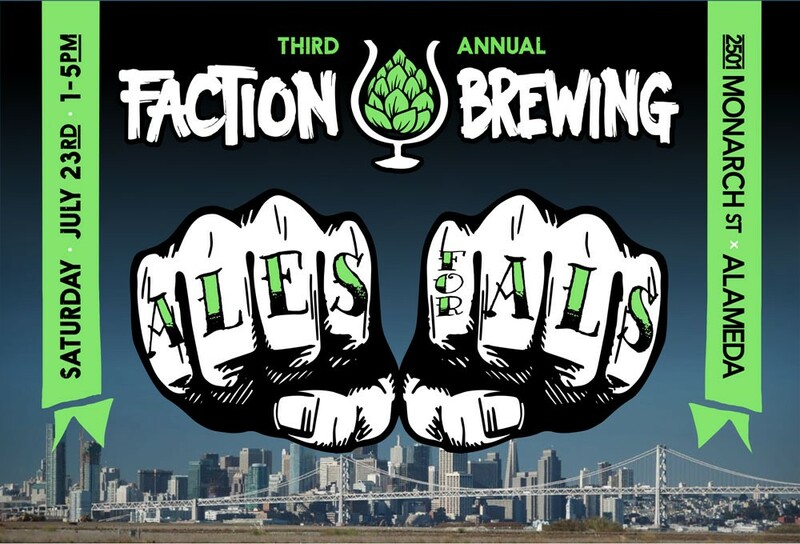 But here's one that's definitely worth the price of admission and more: the third-annual Faction Brewing Co. Ales for ALS gathering at their brewery in Alameda on the old naval base. Killer location with inimitable Bay views, some of the best beer in California, and a good cause (supporting research to treat ALS). Plus, breweries go out of their way to make special beers exclusively for this event. This year, such awesome breweries at Beachwood, Rare Barrel, Societe and more will be in attendance this Saturday. Tickets are $45 in advance, $55 at the door. Learn more at Faction's site. Oh, and bring sunscreen, because it is bright and burning on Faction's deck and patio!